When I think about the industrial internet of things, just like pretty much everyone else, I get excited about its huge potential to transform our world through new efficiencies, reduced risk and enabling entirely new business models. However, I must admit that the second thought that springs into my mind is a picture of spaghetti junction. If you’re designing, developing and deploying IoT solutions, you know exactly what I mean. It’s like that massive highway interchange with so many twists and turns that it seems way too confusing simply to get from point A to point B. The sheer volume of fragmented IoT connectivity protocols (both standard and proprietary), or “protocol soup,” as I also like to call it, is one of the most frustrating challenges in realizing the clear benefits from deploying IoT solutions. In today’s market, selecting technologies and developing an IIoT solution that can quickly deliver ROI can be so complex that it becomes paralyzing. The current fragmented landscape is confusing and has resulted in a patchwork quilt of custom solutions that’s slowing down the overall rate of adoption and general growth of the industry. Ultimately, this is likely to stifle innovation. So how do we get to a common center of gravity that allows developers to quickly and easily deploy working industrial IoT solutions while still enabling hardware, software and services providers to differentiate and monetize their value-add? At Dell, we’ve always been big believers in openness, choice and driving standards; we’re members of several IoT alliance/standards activities like the OpenFog Consortium, Industrial Internet Consortium and the OPC Foundation. Back in 2015, we began to think about how best to resolve the problem of rendering all of these fragmented solution ingredients more interoperable. Our take was that in order to speed up market adoption we needed to address key interoperability challenges at the edge of the network, where data flows “north, south, east and west” between both standard and proprietary protocols and applications in an intertwined, distributed IoT fog architecture. Due to the aforementioned spaghetti, the edge is where most of the key challenges in IoT are today. Fast forward two years to the formation of the EdgeX Foundry Project, hosted by the Linux Foundation and backed by over 50 member organizations. The charter of this vendor-neutral, open source project is to deliver a flexible, industrial-grade edge software platform that can quickly and securely deliver interoperability between things, applications and services across a wide range of IoT use cases. The platform leverages a loosely coupled microservices architecture and interoperability foundation that comprehends both IP and non-IP based connectivity and is surrounded by reference services that can be easily replaced with preferred alternatives. It’s important to note is that that this is not a new standard. There are plenty of great ones already in existence. EdgeX is an industrial-grade software framework that’s purposely architected to be deployed on distributed edge nodes including embedded PCs, gateways and servers. This helps unify existing standards with plug-and-play commercial value-add such as analytics, security and system management tools, and services. The primary goal is to reduce the need to reinvent the fundamentals while enabling technology providers and end customers alike to focus on value-added differentiation. Big markets are built on interoperability. It’s in everyone’s interest for companies to offer plug-and-play solutions that can be easily combined to create secure, scalable solutions. 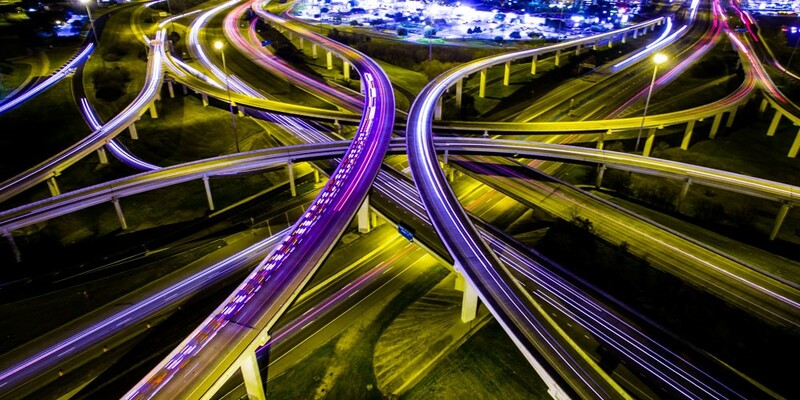 Together, let’s steer away from spaghetti junction and get moving! What DevOps books would your recommend? It will give us the clear understanding on the way how it's getting deployed in an existing development Non-DevOps (Chef and Puppet) environment. I shall be finishing my read of Continuous Delivery. Then what? This is a new term to me. As an experienced IT engineer the topic has sparked my interest. We still separate operation team from development team. Data center maintains all work related release process and environment. How to move forward to DevOps and overcome the line, it's of challenge to us.